Central Asia is a vibrant mixture of civilizations and tongues; united by Islam, diversified by differing histories, cultures and languages. Iran, Turkey and Afghanistan and their neighbours are famed for their literature and their multi-hued arts and crafts, but few realize how alive, how close to the surface, are their powerful and enduring traditions. 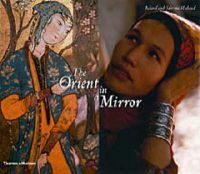 "The Orient in a Mirror" counterpoints the colour photographs of Roland and Sabrina Michaud with reproductions of 14th- to 19th-century central Asian miniatures. The two art forms enhance one another, providing a multifaceted insight into the glories of the region - from glimpses of students and solemn mullahs to Afghan horsemen, in a plethora of exotic beauty and colour. This book was acclaimed on first publication in 1980 but was long out of print. It is now republished in a revised and expanded form, with twice as many images.